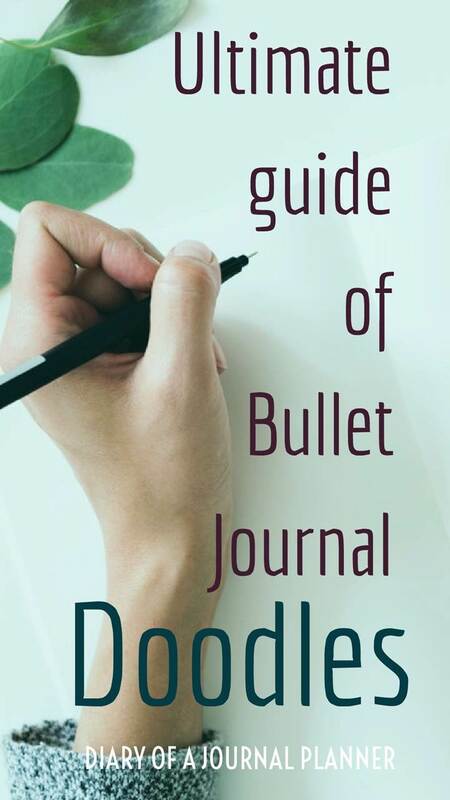 One of the things we love most about Bullet Journals is that not only do they help you organize your whole life but with a simple bullet journal doodle you can express your creativity however you like. 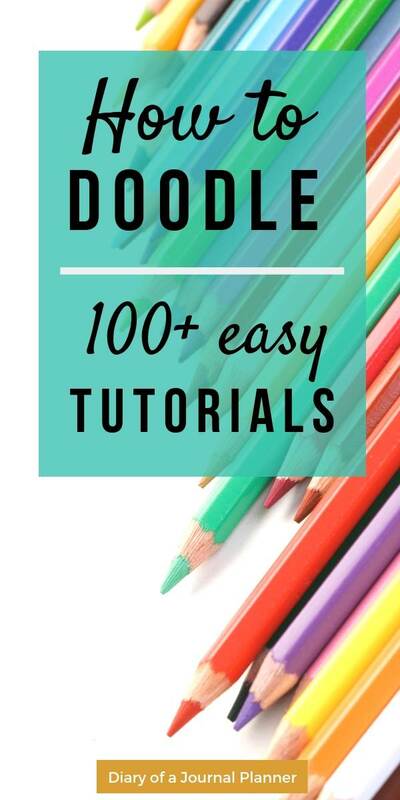 Whether you try art journal doodles or prefer easy doodle ideas, there are step-by-step doodle tutorials and inspiration for all levels of talent… even if you think you can’t draw! A doodle is a simple drawing that usually doesn’t take very long to create. Think about all those little drawings you probably did on your school work back at school. Well, now you have free reign to be as creative as you like. 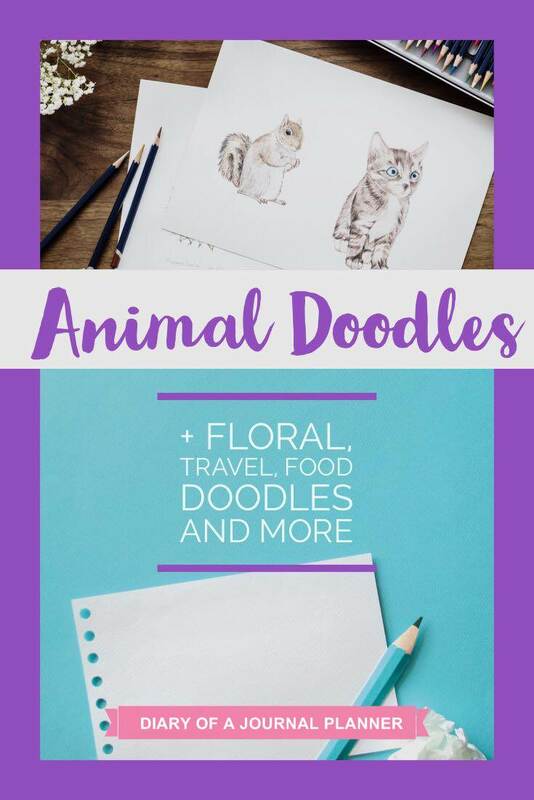 We love doodles as it is a super easy way to personalize your bullet journal and you can find doodle journal ideas on any topic imaginable. Also, there are plenty of doodle prompts online to help anyone create art… yes, even if you aren’t creative. As an added bonus to your bujo looking fabulous, doodling is a stress reliever! So it helps you relax and even aids concentration, all while making your bullet journal pretty. For the most basic doodles, a simple pencil is all you need. 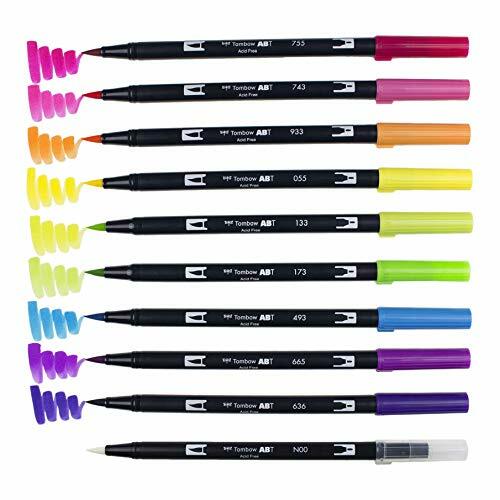 We know that you love to make your bullet journal look amazing though so thought we would share some of the drawing supplies we love. To make finding the best doodle for you easier, we have created this ultimate list of doodles for journals. Keep reading to find our all-time favorite journal doodle ideas, from animals to Holidays, flowers to magical creatures, this list has something for every bujo fan. Some of the most easy but amazing notebook doodles are flower doodles and floral drawings. 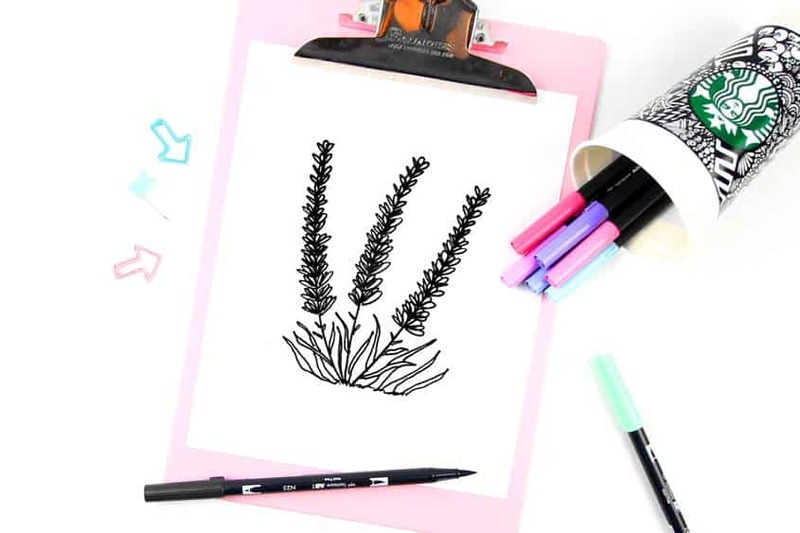 Here are our favorite botanical doodles from how to draw a rose to tropical leaf doodles. 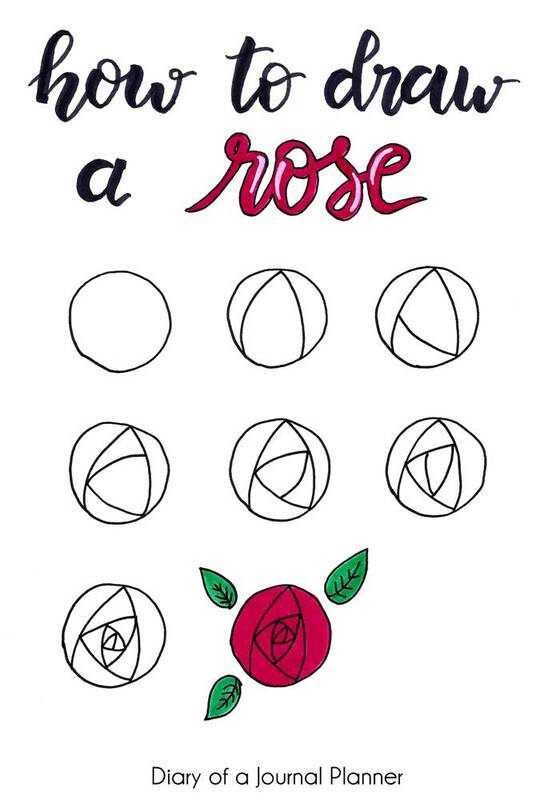 This is a flower doodle that looks difficult to make but it is actually very easy. In my dandelion drawing tutorial post I show you how to draw this flower with descriptive instructions. 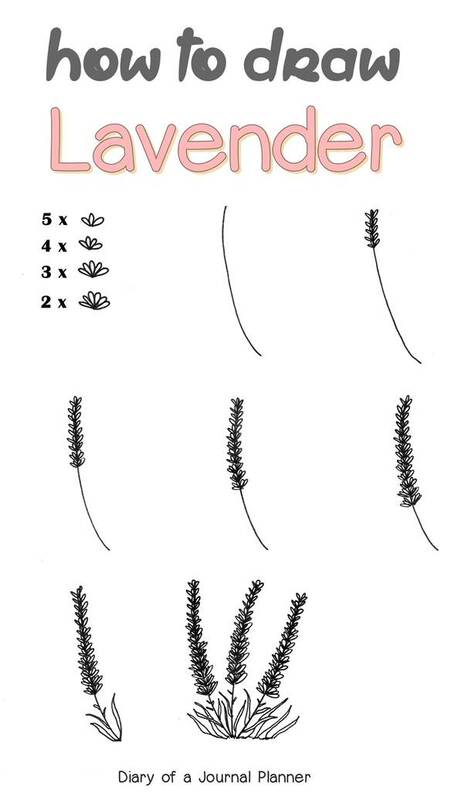 I have created a step by step tutorial to draw lavenders in a simple way. Love these doodles? Head to our step-by-step cactus tutorial. 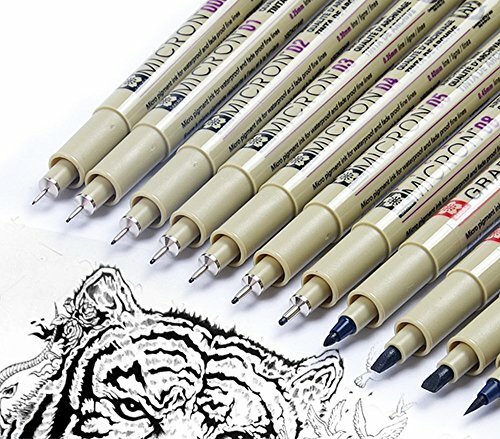 Want to become a better drawer? Why not try a 30 day doodle challenge? All you need to do is try to draw one doodle a day for a month. 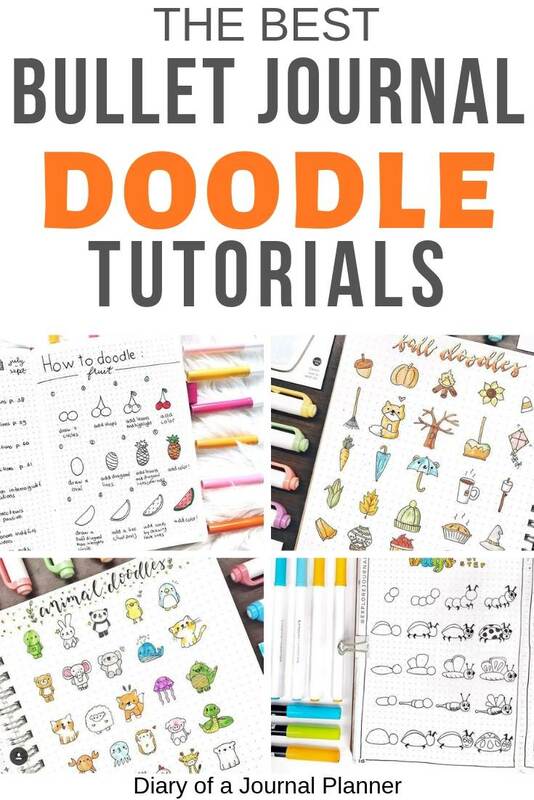 You could try adding doodles to your daily layouts or keep a specially dedicated doodle notebook. It doesn’t matter if your drawings don’t work out right at the start. Keep up with the a doodle a day challenge and we guarantee you will keep getting better and better. Want instant cute factor in your bujo? Here are some easy animal notebook doodle ideas. Choose from an easy fox doodle to a super cute sloth doodle. Simple how to draw animal tutorials anyone can have a try at. Try this easy llama drawing tutorial. 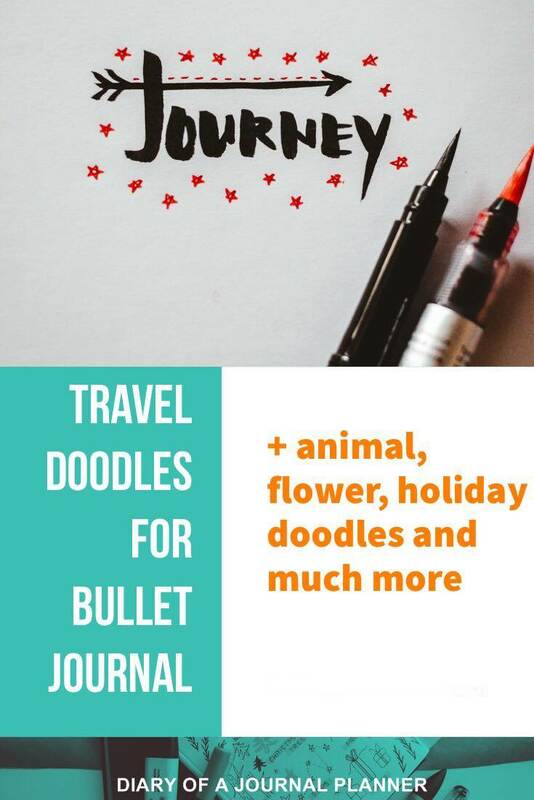 Whether it is a fun travel doodle in your planner or you are looking for travel drawings to decorate a travel journal for your next adventure, there is an easy drawing guide you will love. Want to have a go at these cute drawings for your spread? Try New York Bullet Journal doodles here. These doodles are perfect for a doodle a day challenge weekly spreads as they can fit into your daily or easily. They also make great bullet journal icons too. These fun food drawings are great for meal planning, in a habit tracker spread or just for maybe a my life in doodles series. We think Fruit doodles are so cute they deserve a special mention as doodles for planners. One of our favorite doodle diary ideas are special holiday drawings. They are a great way to get into the holiday celebrations and make you bujo look festive. Take a look at these gorgeous doodles for Christmas, Halloween and more. Check out our Christmas Doodle tutorial here. Make your bullet journal reflect the seasons outside with these fun seasonal doodles. 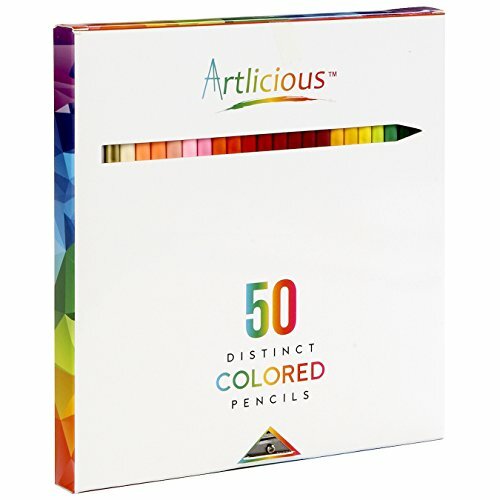 You could also use them as great doodle journal prompts. You can check my post on how to doodle snowflakes here! We have 6 step by step snowflake designs. Weather doodles make great doodle notes. Simply add one of these fun weather drawings to your daily page or planner and it’s easy to look back and see what the weather was like that day. Create a bit of magic in your bujo with unicorn doodles, crystals and more. Click here for these gorgeous Unicorn Doodle tutorials. These doodles are an easy way to add some artistic vibes to your bujo. The best part is that they are super easy to recreate. Find these easy banner drawing tutorials here. Keeping track of books you read or trying to draw pictures from your favorite books is a great doodle challenge. Here are a few we love. 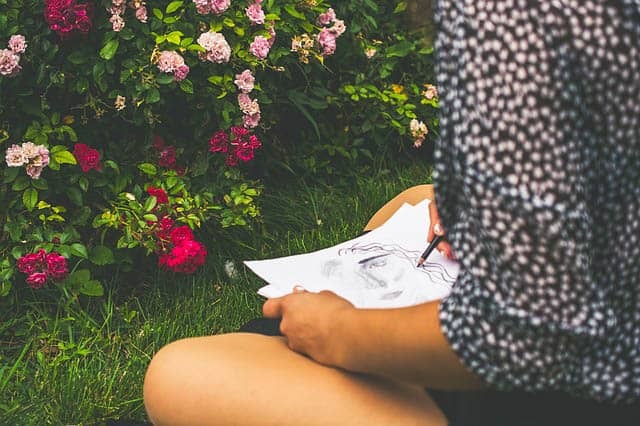 If you are looking for inspiration for your next doodle prayer journal page or to doodle journal bible take a look at these gorgeous ideas. 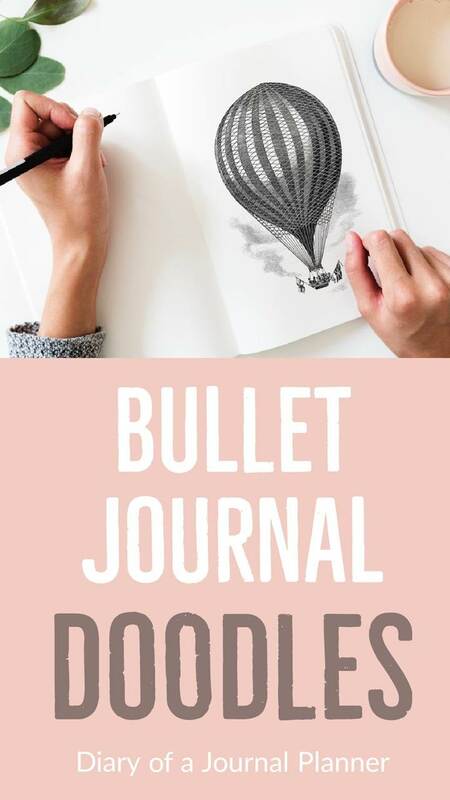 We hope you loved all these gorgeous doodle bullet journal ideas. Make sure you follow us on Pinterest for more inspiration. Tried some of these drawings for yourself? We would love to see how they turned out so share your pictures with us. THANK YOU for this amazing compilation!!! Thank you so much I have been looking for such a guide from a long time. I love how other famous people on Instagram doodle and I too tired but failed miserably. Thus I gave up. 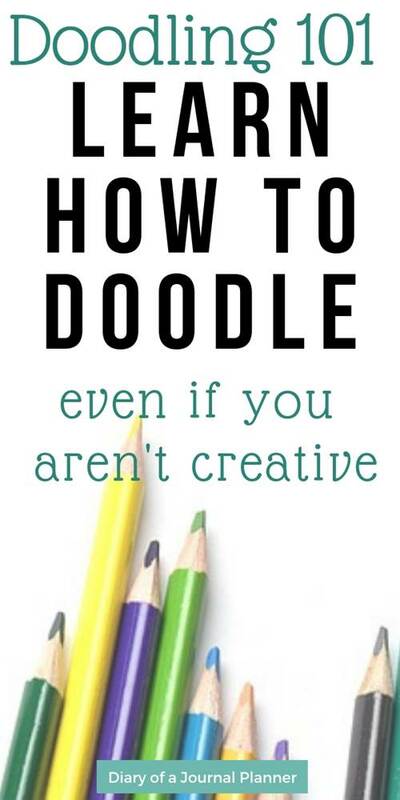 I am sure this guide will help me to restart doodling. So glad we could help Abhinav! We really believe that anyone can be artistic. 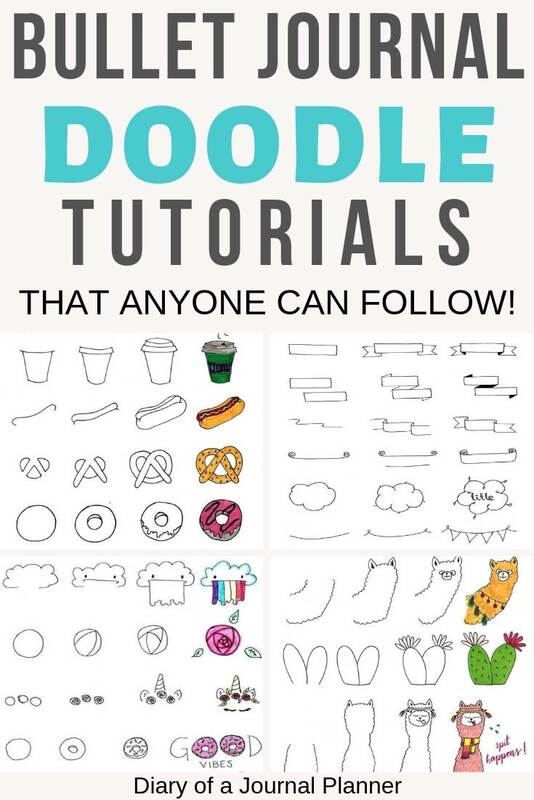 Be sure to show us some of your doodles, would love to see how our guide has helped. Happy doodling. Hi. Thanks so so so so much for this post! I made a whole pinterest board dedicated to my faves. You are a life-saver! Bye & Kisses! This is amazing!!! I’m a beginner and i just Saved this and I will refer back to it as I learn!!! So glad its helpful Heather. 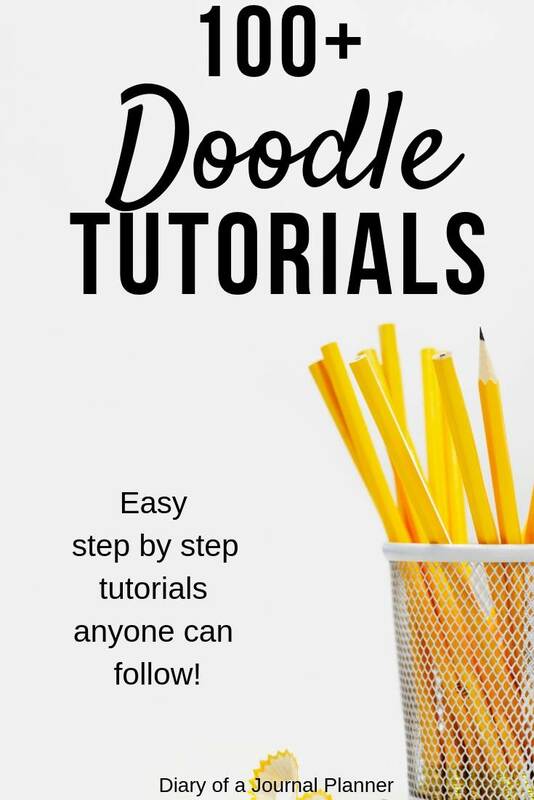 Hope you enjoy learning and creating your own doodles too.